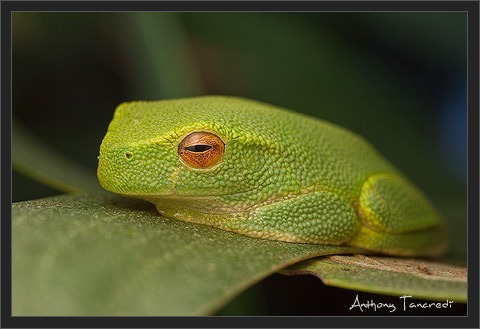 During a macro shoot yesterday I was lucky enough to come across a nice little green tree frog. I don’t see these guys very often and only have a couple of shots of them in my archive. I’m not sure of the exact species, so if anyone has any ideas, please let me know. 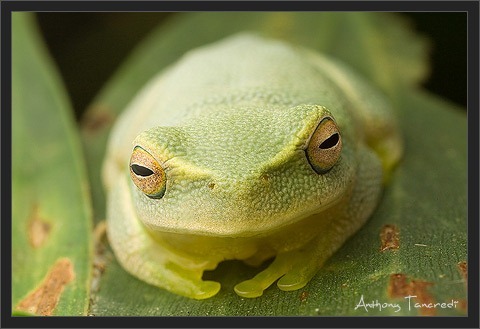 On a whim last night, I decided to look back 12 months to see what macro subjects I was shooting at this time last year. To my surprise, it turns out that I had taken a shot of this same species on the corresponding day 12 months ago! In the 12 months between these two images I have worked on my lighting and technique and I think the shot from this year highlights these advancements. The lighting is more even now and is bringing out the colours in the scene better. After seeing this, who knows…. maybe I will try and make these sort of comparisons a semi-regular feature! You are currently browsing the One year on category at Brisbane Macro.